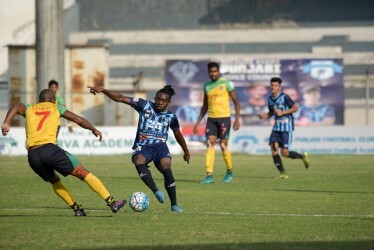 Fateh Hyderabad and LoneStar Kashmir played out a dull goalless draw in the I-League Second Division match played at Gachibowli Stadium, Hyderabad earlier on Saturday. After the international break, the league resumed and Hyderabad were here after an unbeaten run from the preliminaries. 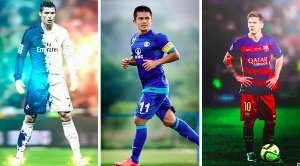 They had defeated Pride Sports 3-0 in the last match, while LoneStar were also in good form having registered back-to-back wins against Delhi United and Sudeva Moonlight FC. 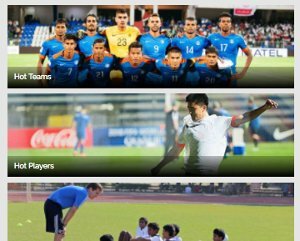 Hyderabad head coach Yogesh Maurya made three changes to his side as Jaybrata Dhar, Ponif Vaz and Pinreithan Shaiza found their names in the starting XI. On the other hand, LoneStar coach Hilal Parray made five changes in the starting XI, bringing in their newly signed French midfielder Alexandre Tabillon and Ivory Costa defender Lancine Toure. Ubaid Haroon, Mumtaz Akhtar and Shahnawaz Bashir were the other three new faces in the starting XI for the Kashmiri club. The match started with aggressive football from the both ends. 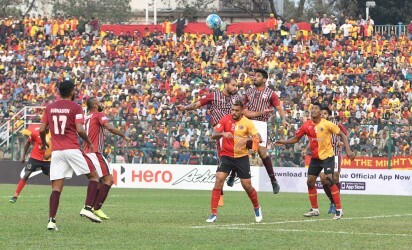 However, Hyderabad were the first one to create a potent chance when Khaidem Meitei found Alber Gonsalves in front of the goal but the striker failed to convert the same from close. Few minutes into the match, Hyderabad once again came close to scoring but like last time, Gonsalves once again failed to score as his powerful shot was saved by Kashmir keeper Harpreet Singh's brilliant dive. In the last quarter of the first session, Hyderabad played with better possession while they were more aggressive in the attacking. LoneStar were busy defending while Hyderabad made every possible thing to open their tally but tall Ivory Coast defender Toure stood strong to keep his side away from any damage. 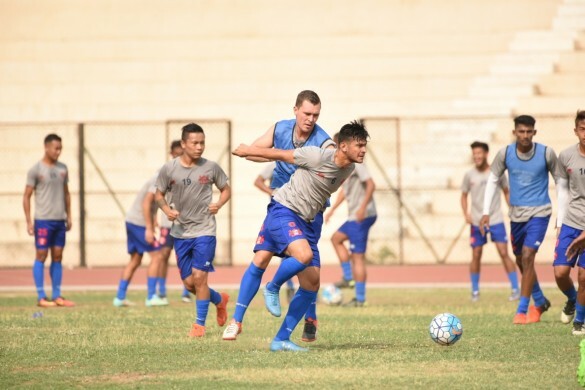 Hyderabad coach Maurya brought in Nongmeithem Singh in place of injured Luis Santos at half time while Kashmiri coach Parray took five minutes after the resumption of the play to make the first change as he brought in Faisal Wagnoo to replace Ubaid. Like in the first session, Hyderabad clearly dominated the second session with more creative play and better possession. Kashmir defenders were seen busy defending while their forwards failed to create any shots on target. At the other end, Hyderabad came close to scoring on many occasions but Kashmir defender Toure made some superb clearances to keep his side clean at the back. Though the North Indian club played some dull football, Hyderabad failed to take the chances they had created and the match ended in a draw.